About 30 civil servants were abducted by Tuareg MNLA separatists in Mali’s northern town of Kidal during fighting that also wounded 23 government soldiers, the governor of the region said today. Fighting broke out yesterday ahead of the arrival of Malian prime minister Moussa Mara, who was visiting Kidal for the first time since his appointment last month. He is seeking to revive long-delayed peace talks with northern armed groups. 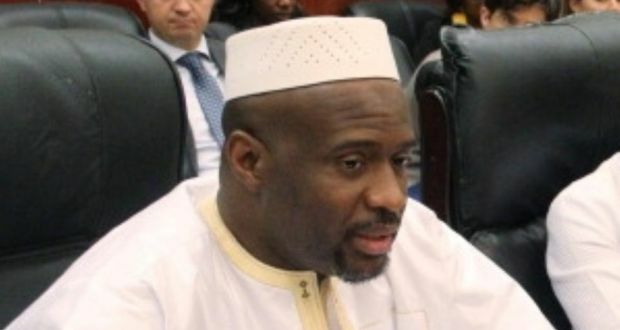 Mali is now “at war” with the separatisst, Mr Mara said today. “Some 30 of our civil servants were kidnapped by the assailants who attacked the governor’s office. There were 23 wounded, including three seriously who were evacuated by helicopter,” said Adama Kamissoko. A Reuters journalist travelling with Mr Mara saw the body of one dead soldier, which was brought to a Malian army base in the town where the prime minister was forced to spend the night. A Malian military source said the gun battle erupted after MNLA fighters aboard two pick-up trucks attacked an army checkpoint in front of the governor’s office. A spokesman for the MNLA said the army attacked first, opening fire on the group’s barracks following pro-independence protests in the town. Mali, a vast landlocked country of 16 million people in West Africa, descended into turmoil when Islamist fighters took advantage of a 2012 Tuareg-led rebellion and seized control of the country’s north. French troops drove back the Islamists last year, elections were held and a UN peacekeeping mission is rolling out. However, agreed talks between the government and Tuareg armed groups have yet to materialise. Posted on 18th May 2014 by newsafrica. This entry was posted in Africa, Democracy, Human Rights Violations, Mali, Terrorism and tagged France, Islamism, Kidal, Mali, MNLA, Tuareg, Tuareg people, West Africa. Bookmark the permalink.